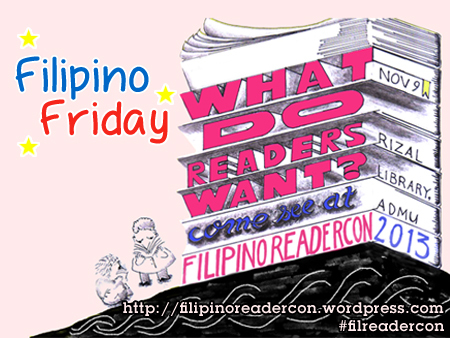 ReaderCon 2013 Filipino Friday (3): Book Drop! Two reasons why this post is delayed: I did it on purpose, and I was just so darned busy again. I’m trying to catch up, really, but ack, I’m sorry if I’ve been neglecting this blog again. I feel a little bad, because I should have done more. But the good thing is, even if Book Drop week is over, I can still drop some books. And it’s another long weekend, so I’d have the time, right? Oh, and I checked and the book is gone. So yay, whoever you are who got it, I hope you enjoy the book! You can check out the other books dropped through the #pbdrop hashtag. :) Did you find one? Tell us about your most memorable or favorite book hunting experience. 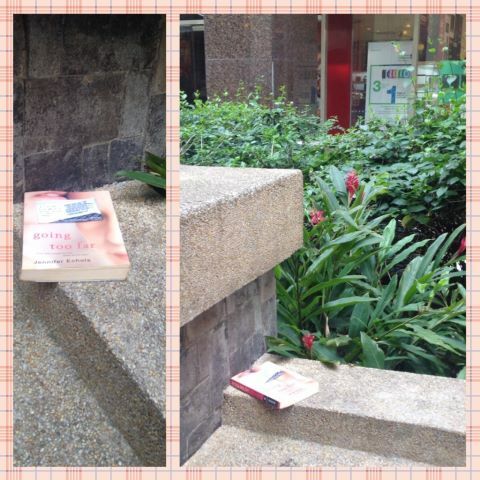 Have you ever found a book in a most unexpected place? If you find a dropped book somewhere, what would you do with it? Where do you get your books nowadays? Do you still go to bookstores, or do you buy/order books online? This is years ago, as in I was still a freshman in college. My mom and I were in Robinson’s Galleria, where I met them after an event. I was browsing around National Bookstore, digging through the books to see if there’s anything there, when I found at the very bottom shelf, two books in a bundle. I pulled it out, just to fix it, when I saw the name of the author: Frank E. Peretti. I think I let out a little squeal when I read the titles: This Present Darkness and Piercing the Darkness. I found out about This Present Darkness by Frank Peretti from a friend in high school, four years before I found that little treasure in National Bookstore. She lent me the book, and I read it in a few days and I was so amazed at it that I knew I wanted to have a copy of the book for myself. But it was an old book, so I didn’t really think I’d find a copy, until that day. And I was so surprised to find that there was a sequel to it, which made me even more excited because I had no idea there was a sequel.